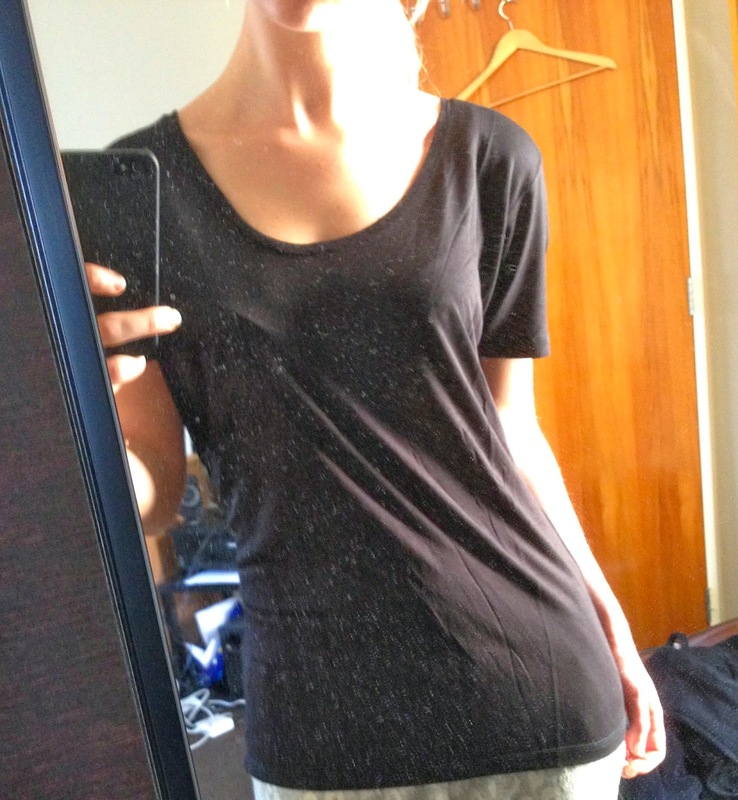 Im sorry the clothes are not very exciting, but I was on the hunt for some good comfy basics to lounge around in. I popped into Glasson's a store we have here in New Zealand and found exactly what I have been look for! Trackies! 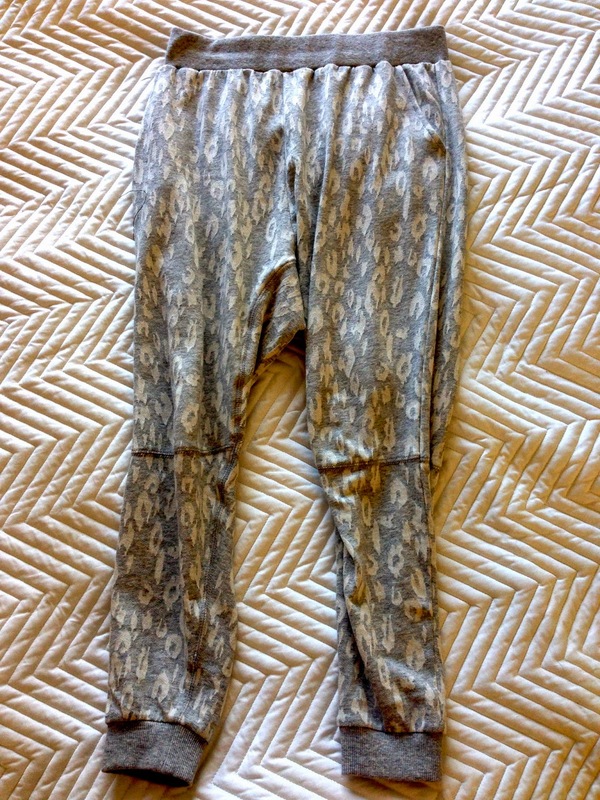 I have been looking for a nice fun warm pair of trackies to wear around the house, and they were a steal at $40. They look very similar to a brand we have here called Peter Alexander which is a lot more expensive. I love the cute animal print. Another reason I love them is they have a nice slim fit, and are not to oversized. They are so comfy also! Then I saw they were having a 2 for $30 sale on T-shirts and I was sold. 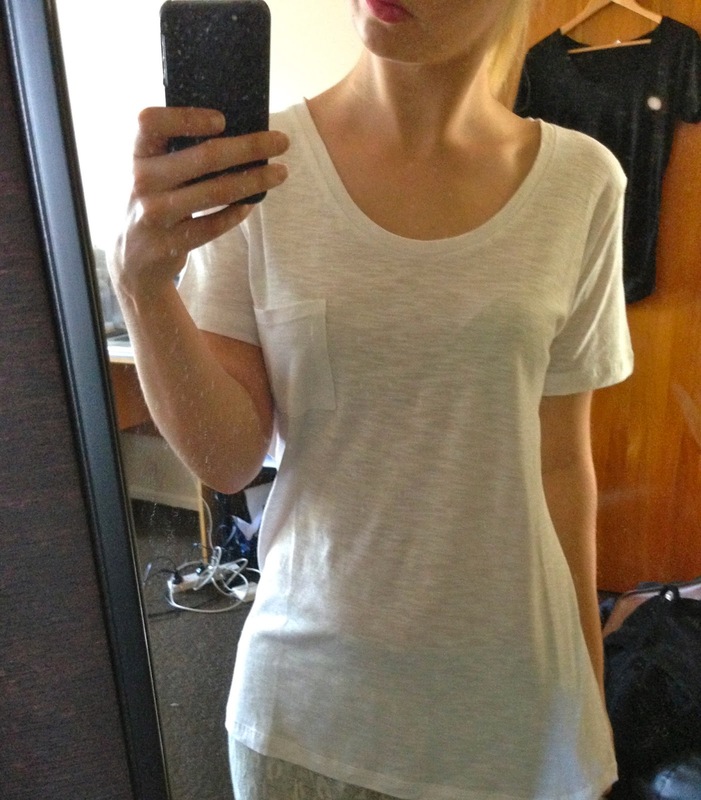 The t-shirts were cut really nicely to flatter the female figure. You can never have to many T-shirts, they are a necessity in the wardrobe! 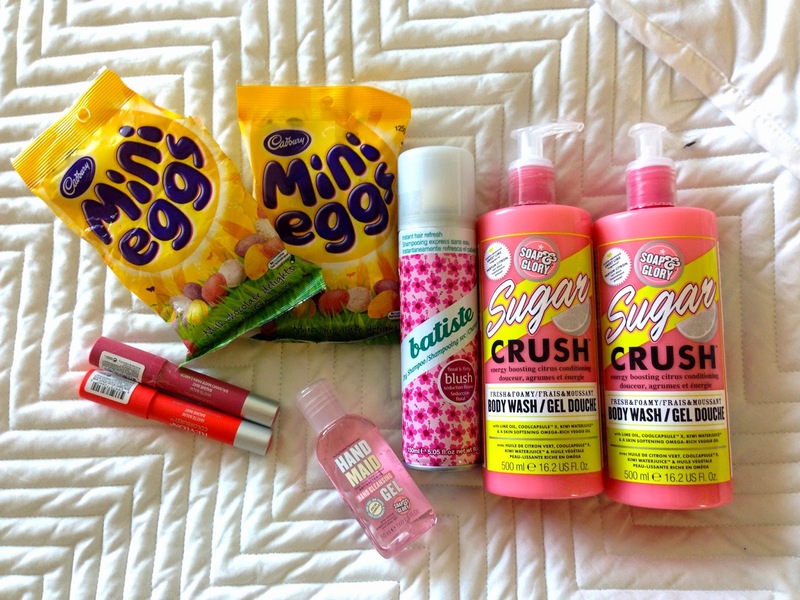 I recently did a little online order with Kit Cosmetics to get some of the Soap and Glory range as we can get it here in New Zealand, and Sugar Crush scent is one of my favourites. After falling in love with the Sugar Crush Body Scrub I needed to try the Body Wash, and once again I have fallen in love. The scent of sweet lime is amazing, and the body wash has a nice creamy texture and lathers up very well. I was in need of a new hand sanitizer and really didn't want one that smelt like alcohol, so in the same purchase I picked up the Hand Maid, which also once again smell amazing, like Pink Grapefruit yet again another one of my favourite scents! Mini Eggs, Mini Eggs, Mini Eggs!!! If you haven't tried these you need to! They are my favourite!!!! ahhhh sooo good! They are little bite sized eggs with pastel colored candy coating. They taste amazing! I don't want the easter season to end! I needed to pick myself a new bottle of my Batiste Dry Shampoo. This stuff is the best dry shampoo I have used, and is super affordable. I picked this guy up for $5, and thats very rare to find a beauty product in New Zealand for $5. It gets rid of all the oils in your hair without any weird powder residue, and also gives you a little bit of volume. This stuff is great for when your in a rush and you don't have time to wash your hair! Which I swear is me most of the time with early morning uni! I also recently found out that New Zealand has finally got the New (not so new now) Range of Matte Balms and Lacquer Balms by Revlon! So I had to go pick some up. I you want to hear a whole review on them. I did a post a couple of days ago, so go check it out!